Here are some reviews from E-Z Window Cleaning customers. Take a look at what people are saying about us. In addition, you can see the reviews customers have left for us on Facebook . Fredrico, our project manager, and his crew were terrific. They cleaned our windows and screens inside and out, and power washed patios and furniture. I highly recommend this company! The team from EZ window cleaning was exceptional! Professional, kind and courteous. We had a coupon but they treated us like we paid a million dollars for their service and went over and above. Absolutely exceeded My expectations. If you are even considering professional cleaning for your windows this is the company to hire. Great experience. Polite, professional guys did a great job! Based on a neighbors recommendation, I hired EZ Window Cleaners for the first time. This company has exceptional customer service!! 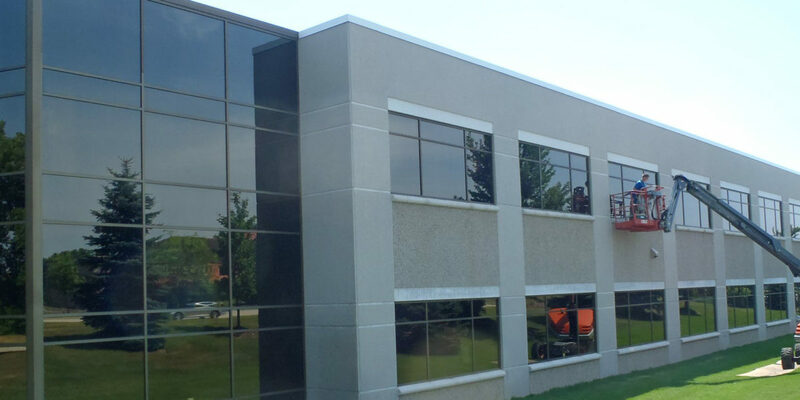 They washed the inside and outside of several windows at our Delafield home. The company sent a team of very polite young men to do the work. They were on time, did an excellent job cleaning the windows and I paid exactly what I was quoted. The next day I thought our gutters were clogged and was concerned because we were expecting more heavy rain. EZ Window Cleaners sent someone out the same day! This level of customer service is so rare today and we really appreciate it! Thank you. E-Z Window Cleaning power washed the back of our house this year and did just an awesome job! They were fast, detailed and very courteous! Recommend them to anyone! We had EZ Window Cleaning come to our home last fall and this spring. Each time they sent out polite young men to complete the cleanings. They were courteous and did thorough work. I feel totally comfortable having them out to our home to do work with my wife and three kids present. Thanks for the good work and for standing behind the promises you make!! We have a LOT of leaded windows and they did a fantastic job of cleaning each pane. The also took a lot of care in not breaking any glass, which is old and thin. They helped organize a system for our storm and screen storage helping to make it easier in the future. 3 young men washed all the windows & doors. They were very pleasant & helpful. They worked diligently and finished in three hours. I am very happy; my windows never looked so good. They were very good. They were easy to work with. They came out on time. They did a good job cleaning it inside and out. I think they are a little expensive when compared to my previous service provider, but I also think it was more realistic considering the fact that I have more windows than any average home. E-Z Windows Inc has been cleaning my windows for the past three years. I like the work they do. They’re very clean. They do a marvelous job. Michael was awesome with communication and his price is very competitive. Was a delightful experience! They came to do the work on very short notice and did a great job. The two-person team arrived on time, worked efficiently, and did an excellent job. I have used them twice before and will use them again. The experience was good. It was wintertime so they decided to clean the inside of the windows first and then come the next day and do the outside windows. He called back to see if the crew did a good job and I was happy with that concern. There was a small “blip” in the process of my window cleaning, however the owners were very responsive to my needs and the job they did on the windows was impeccable. I am very impressed with the final product. I am also impressed with the owner’s superb customer service and integrity.